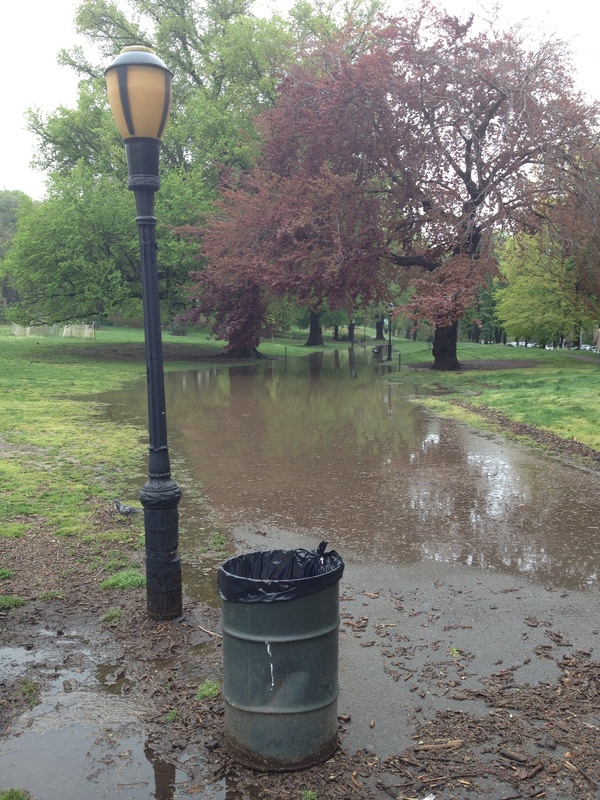 Let’s address the drainage problem on the East side of the oval, along Washington Park. 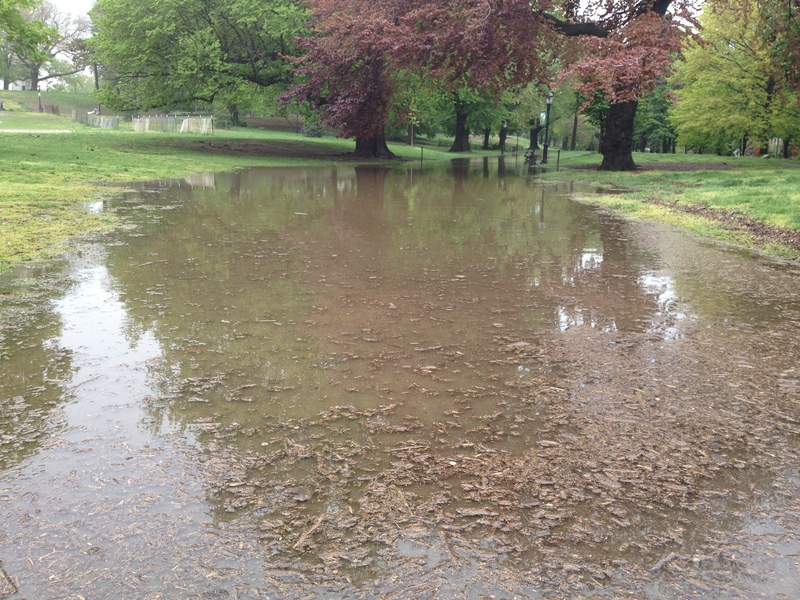 The ponding seems to be getting worse. 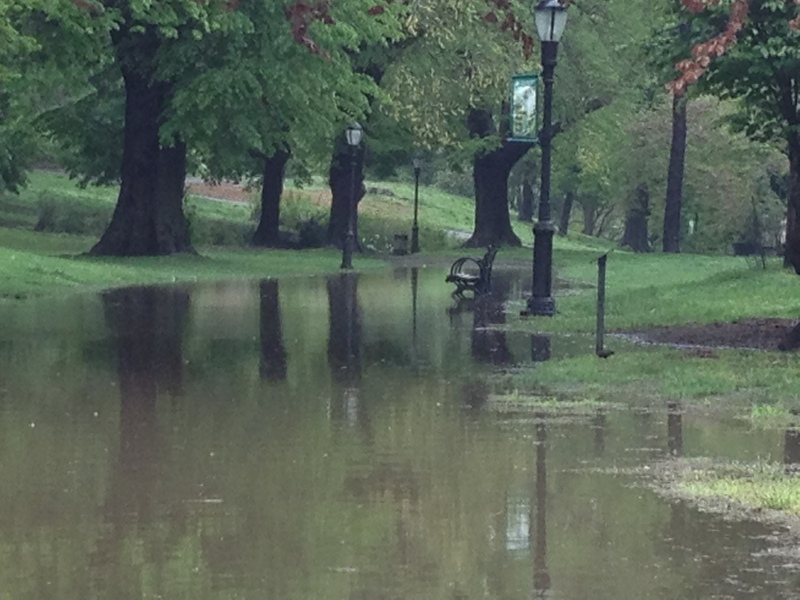 As you can see from the close-ups below, it extended all the way to the Willoughby Avenue entrance this afternoon.